Somewhat surprisingly today appears to have been the worst day yet for disruption in Greenwich since Ikea opened. Slow moving traffic is widespread and signs are telling people the car park is full. Whether that’s shoppers or not we don’t know as the 1017 space car park is free for five hours without the need to make a purchase – and visitors can overstay the first time without a fine according to parking plans submitted to Greenwich council. ⚠ CONGESTION ⚠ In Greenwich there are delays approaching the Bugsbys Way Roundabout with traffic heading to and from the retail park. The A102 is slow northbound from the Sun In The Sands roundabout, and the A206 Woolwich Road is queueing on both approaches. The first two days saw no major dramas and though congestion was heavy yesterday with Charlton also playing it wasn’t complete gridlock over a wide area. A crash is also a factor today adding to problems. 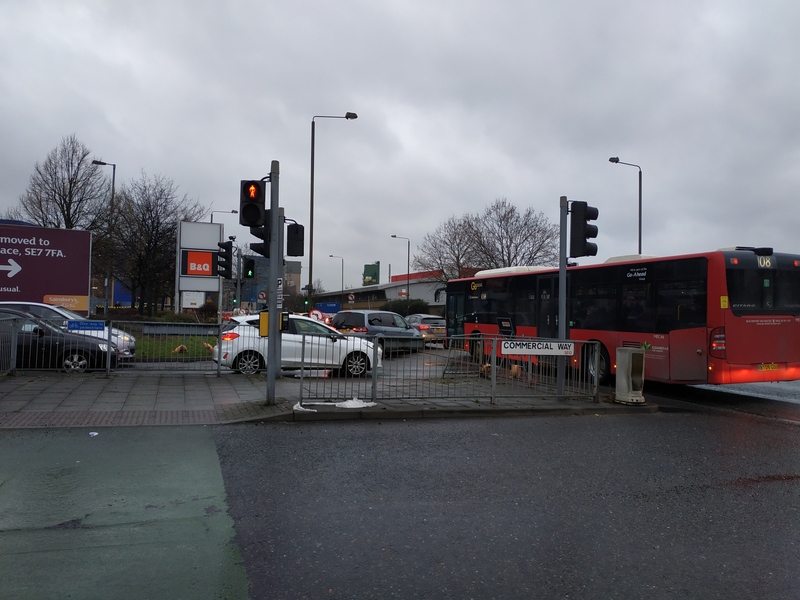 That’s a big issue here – extra Ikea traffic adds to a road at or over capacity already so when anything goes wrong, it gets worse quicker and rectifying problems takes longer. The extra traffic will impact upon B&Q, Odeon and restaurants in the area – as well as nearby businesses both mainstream and independent such as See Woo asian food cash and carry (which is brilliant by the way). Will tradesmen and women give up on B&Q and head to other stores – potentially increasing traffic elsewhere through displacement? This all comes down to the sustainable line being hammered home at every opportunity. The building alone may be (and even then I’d not call a large retail shed truly sustainable without a residential mixed-use component in inner London) but if the wider areas is polluted and congested then it simply isn’t a sustainable development. It’ll all play out in coming weeks and months. Queued for a space this morning at B&Q Stuck for 15 minutes in the car park. Gave up and drove to Wickes. Lots of disruption on my route, 422, due to Woolwich Rd. It took me 12 minutes to just get round the roundabout. My bus enede up 28 minutes late which resulted in me being curtailed on my next trip. And I wasn’t the only one. Sunday’s havhave been our busiest day of the week for a while now with reduced bus numbers and less running time. Major changes to TfL schedules will be needed if this is the norm. Been a shocking weekend. Even worse for the 472 and 161 drivers who serve the store itself. What was the council thinking? The council are only thinking of the money they receive, to hell with the consequences to the local residents. B&Q, the cinema and restaurants must be livid witht the knock-on effect. 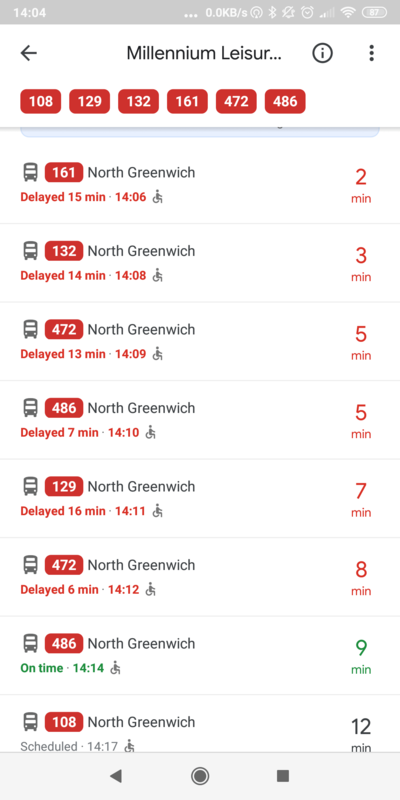 The whole road system in the borough of greenwich needs looking at. There is no point in trying to tackle a hotspot as it wil only push the problem elsewhere. There must be another river crossing between Blackwall and Dartford (the Blackwall tunnel must not be tolled!). Unfortunately the council will increase parking charges, implement more parking restrictions, screw the drivers for more money, while public transport fares keep increasing with no improvement in services. It’s the weekend and the first oppotunity that workers have had to visit the newly opened store. I left home at 11am on Friday and took the 108 from Lewisham. Traffic was slow, but not at a standstill and I daresay had I driven, I could have found a parking space. IKEA has to adjust the length of stay in the carpark – five hours is much too long – AND install a numberplate recognition system to be able to fine those who over stay. Just imagine the build up to Christmas.